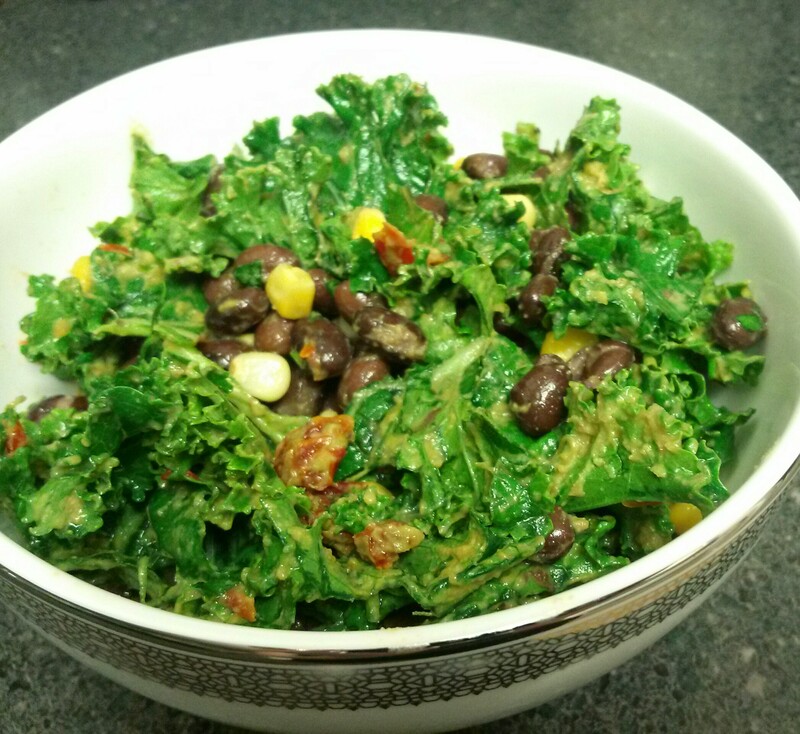 Here’s my favorite kale salad recipe from Christy Morgan’s Blissful Bites book, Mac n Kale salad, with some cilantro, black beans and corn thrown in for a super quick, yum dinner. I use everything in her recipe here, except for the very little oil. (Kale, nooch, acv, tamari, avocado, sun dried tomatoes). Just toss everything together and chill if desired. So easy, fast and good! Miam miam! 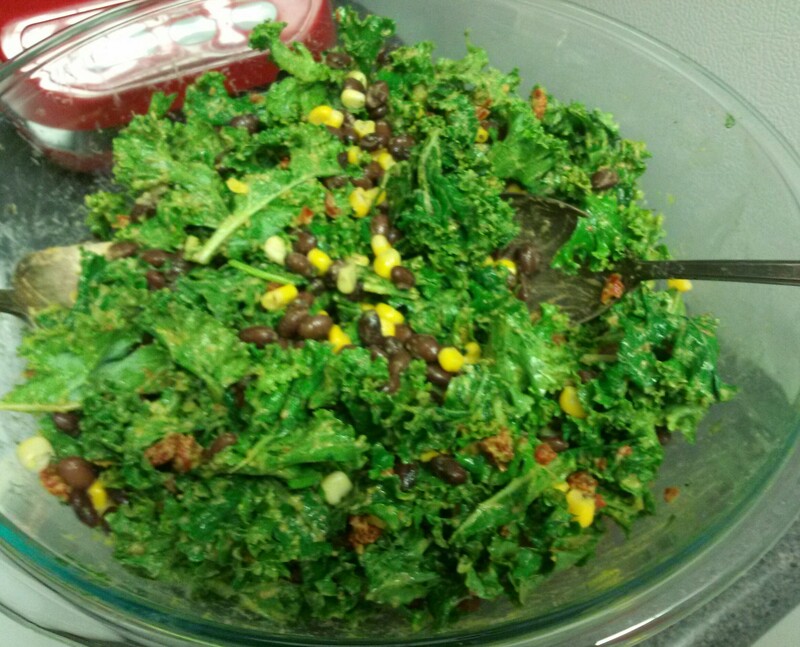 I love how the recipe is called as a Mexican kale salad, hehe! I just followed you on feedly! This couldn’t be simpler and it has ingredients that we usually always have on hand. Yum!